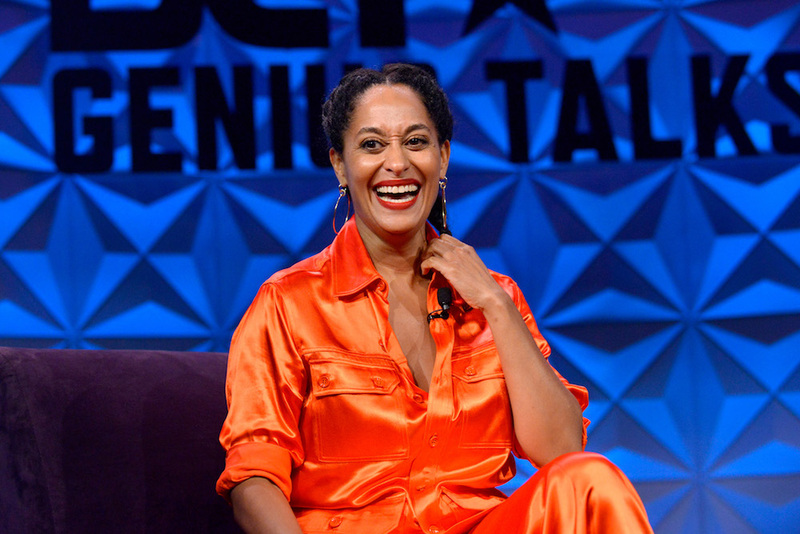 This Saturday, actress and producer Tracee Ellis Ross spoke at the BET Experience in Los Angeles. 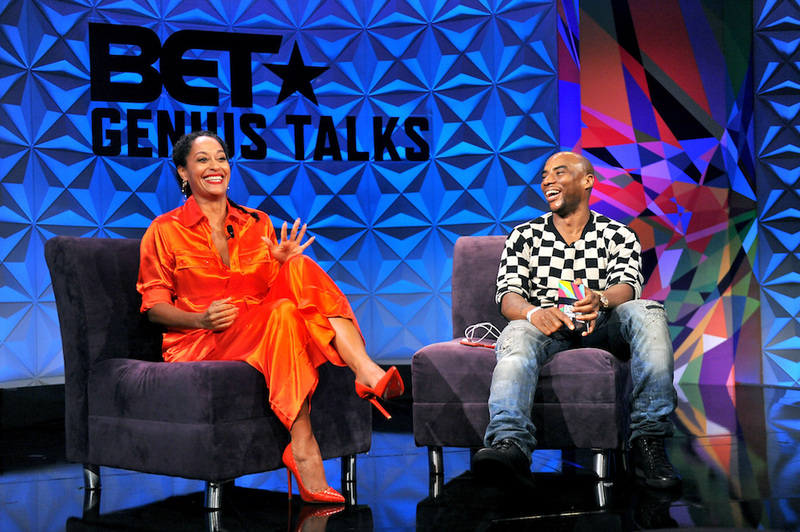 The mogul headed a Q&A for a BET Genius Talk with Charlamagne Tha God, and was completely amazing as predicted. While her words were powerful, we also couldn’t look away from her cool outfit! Ellis was clad in an all orange ensemble, with heels to match. Needless to say, Tracee Ellis Ross was perfect parts glamorous and girl boss. So it begs the question, whose outfit was she blown away by? Activist and Pod Save the People podcast host DeRay McKesson. McKesson was rocking a pink romphim — and, of course, his classic puffy blue vest. Ross had no chill about it, which was so adorable. Every photo of her with McKesson, she is either staring at his amazing outfit or looking out to the camera with complete awe. Which we understand! First of all, DeRay McKesson is awesome. 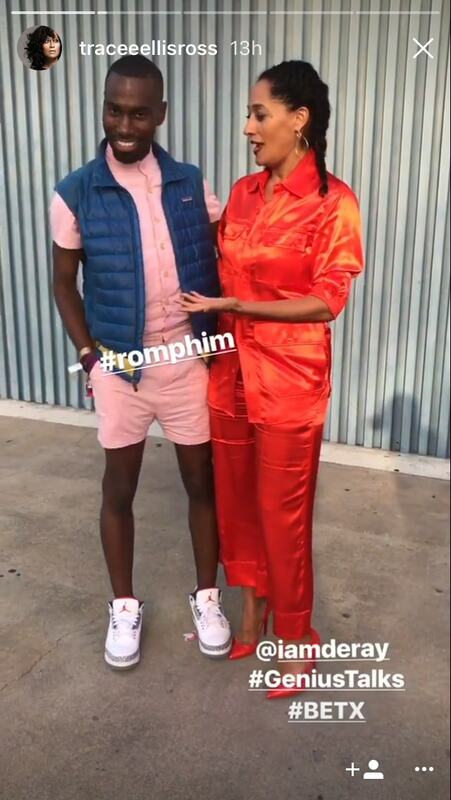 Second, he is wearing a pink romphim! That’s double awesome. Obviously we’re all now as obsessed as Ross. Even though Ellis looks amazing, we can’t take our eyes off DeRay’s outfit. While we were initially a little skeptical of the romphim trend, McKesson makes it look cool. 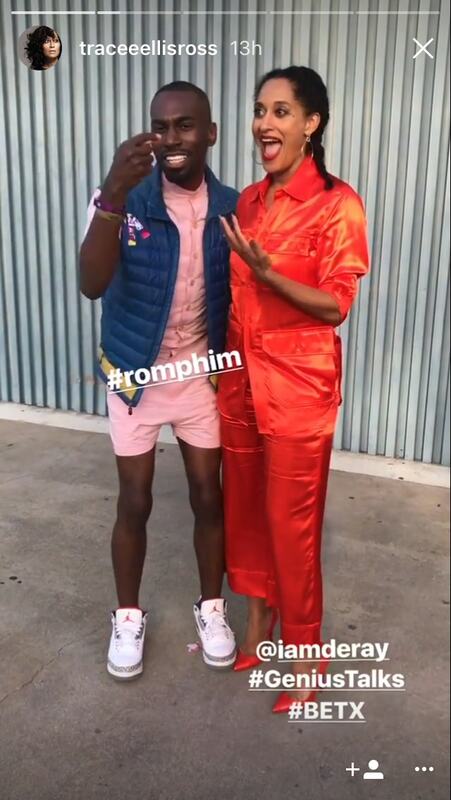 We’re also loving DeRay’s dedication to his favorite puffy vest, even in the Los Angeles heat! On top of that, the two friends look so psyched to be hanging out. Nothing can beat a perfect day with people you like, except for a perfect day with people you like and the coolest outfits! Want to see their full interaction? Check out Tracee’s Instagram story. But we’ve got a sneak peek for you. "Everything really good happened when I noticed this!" 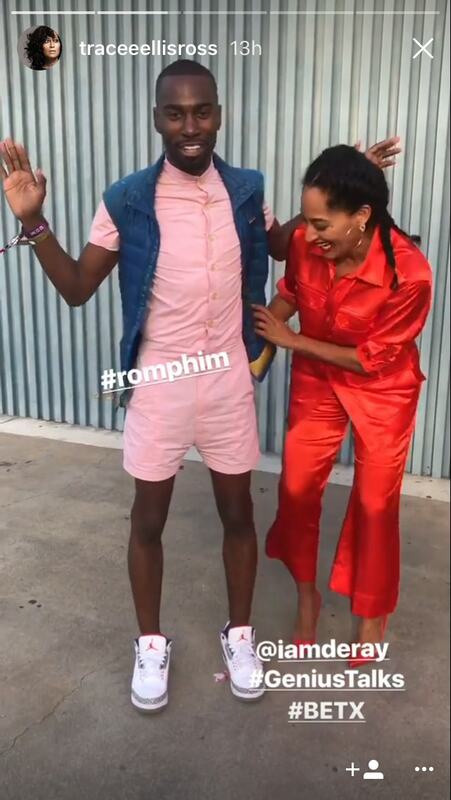 Tracee exclaimed, showing off DeRay's romphim. This is the height of friendship goals, and we all need to step it up this weekend. And if you haven’t tried that edgy new fashion trend you’ve been curious about, let these two inspire your style, too.